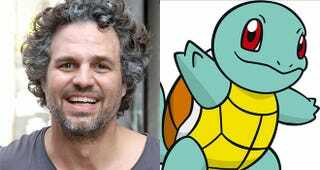 Just so you know, actor Mark Ruffalo - of The Avengers fame - has a favourite Pokémon. Just so you know, actor Mark Ruffalo - of The Avengers fame - has a favourite Pokémon. And that favourite Pokémon is Squirtle.